Wire Fraud can affect all of us, and we want to make sure you don't become a victim. It essentially boils down to one simple thing - if you receive a request to 'wire money' to anyone, pause and make sure to verify the source. What is happening, is the wire fraud scammers are creating emails that fully replicate those that might otherwise look familiar to you, for instance, from us, your attorney, or lender. They will send you a personal email requesting that you "wire funds for your closing", or other, only to be ultimately routed to a bogus account. This has actually happened recently to a buyer and the representing real estate firm, in the region. So, be aware, be vigilant, and if you ever receive any correspondence that appears to come from us or your attorney, please contact us immediately. One of the ways you can flesh out this illegal procedure, is by looking at the actual email address in the email header. In other words, if it looked like the email was coming from us - The Smith Macdonald Group - look to the right of that to see the actual address in parenthesis. If it's a scam, the email address will not be a familiar one. This rule of thumb can be applied to other potential junk mail or email scams, from the likes of Pay Pal, Amazon, etc., asking you to 'verify your account information', for instance. Another tip is to not generate any sensitive information via email, including attaching instructions for wiring money into any of your or others accounts. This information can be scraped, and used illegally. Also make sure you have the proper Malwear protection on your computer to help identify cyber threats. Stowe, Vermont has always been a desirable destination for vacation, as well as for investing in real estate. Vail Resort's recent purchase of the Stowe Mountain Resort's ski operations has had an additional impact on growing interest in the area, year-round. Increased buyer demand, in many cases, includes the desire to rent which is a great way to generate income during the year when you, the homeowner, are not using the property yourself. Are you Thinking of Buying a Home in Stowe, Vermont? Where is the Best Bang for Your Dollar in Stowe, Vermont? Are you thinking of buying a home in Stowe? The village of Stowe is where it is happening, and the homes throughout the area are where you can find the best value and the best time for you and your family. 33 miles of Lamoille Valley Rail Trail (additional 60+ to be built) for biking and 4-season recreation, plus the award winning Greenway 5.5 mile bike path along the river. There are many more features offered, but the most important one is the community. Stowe is not just a vacation destination. When you own in Stowe you become part of a large neighborhood of year-round residents, as well as second home owners, who all work together to make Stowe the friendly community it is known for. When considering Stowe, the most notable aspect is the property prices. You are able to buy into a world class resort, a picturesque New England town, with an international airport nearby, a small airport capable of bringing in small jets, and an interstate from three major areas, New York, Boston and Montreal, for less than other comparable resorts. And if you are looking for luxury homes, we have the best deals from $1,000,000 and $2,000,000. Homes which include acreage, views, pools, tennis courts, streams, upwards of 3,000 sq. feet, multiple bedrooms, fine craftsmanship from Vermont builders, local woods, and granite from Vermont quarries. These homes would be millions of dollars in other resorts, but not here in Stowe. 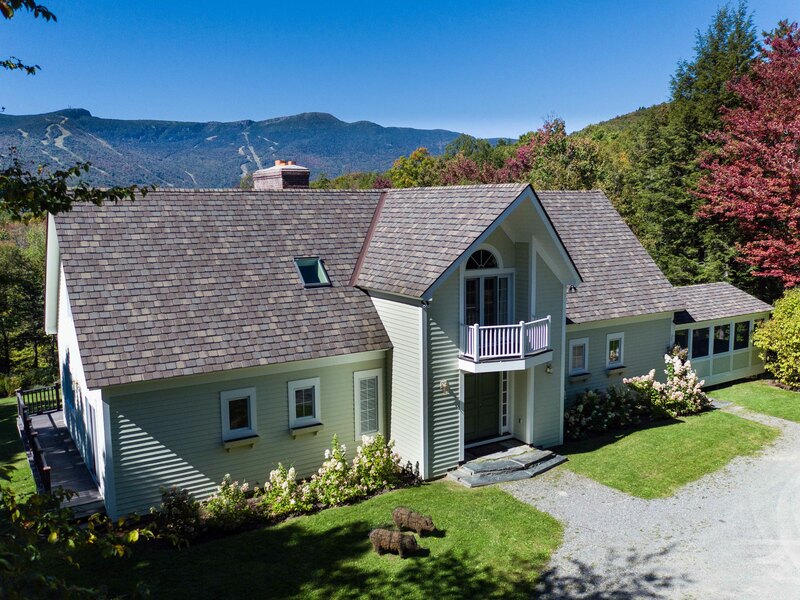 Our homes are tucked into beautiful settings with quiet and reserved elegance, where life is relaxed, the country air is clean and homeowners can enjoy the cosmopolitan flare of Stowe village and the Stowe Mountain Resort. Come Discover Stowe - one of the best kept secrets in the U.S. Ever since Vail Resorts purchased the Stowe Mountain Resort operations, buyer demand for Stowe condominiums has increased. In fact, condominium sales began to increase almost immediately after the news broke about the potential sale. We continue to receive inquiries from buyers about investing in Stowe properties, yet inventory remains low. We have represented the majority of of the condo sales off the Mountain Road corridor, and have sold all of our recent condominium listings. With the advent of continued buyer demand for condominiums in the area, we are looking forward to marketing and selling more condominiums. If you are thinking about selling your condominium or home, let us know, as this is the best time to do so. We'd be happy to provide you with a market analysis, and help you sell your property. In the meantime, if you're thinking of buying a new condominium in Stowe, here is our most recent listing. This Fox Hill Condo is an ideal option for year-round or vacation living, conveniently located right off the Mountain Road. This affordable 3 level condo makes for easy 4-season living - and one of the best benefits is the low monthly association fees! For more on this new listing, priced at $250,000, click through to our website. As we approach the end of the 2nd quarter of the year, we thought we’d give a quick update on the market. A recurring theme continues - that of Buyer demand continuing to be strong, and inventory low. So far, the buying and selling season has already been a busy one. As we enter the most active period of the real estate sales market, this is a very good time to sell. Buyers are ready, and with the lack of inventory, they are looking for more choices. For Buyers, it’s still a good time since interest rates have remained at one of the lowest levels ever, and if prices rise, the sooner the better to buy. As you may be aware, the Vail purchase of Stowe Mountain Resort operations was recently completed. Many ask if that has had an impact on real estate sales. It’s still a little early to be quantitatively definitive about that, but many are talking about it, and feeling that overall, it is of economic benefit to the region. In addition, we have been seeing a pretty clear positive impact in some segments of the market. When the news first broke about the impending sale, there was an uptick in sales of condominiums located near the Mountain. Since the start of the second quarter, there have been a total of 25 residential closings, which includes 16 condominiums. The price range is from $106,000 – $3.3 million, which is a Mountain Cabin, at Spruce Peak. Currently there are 24 residential properties under contract, ranging in price from $199,000 - $1.495 million; 2 of the pending sales are over $1 million, 7 of them are condominiums. This is just a overview, but if you are thinking of selling, it is a great time to list your property. If you are thinking of buying, new inventory remains tight and have educated representation in this market, will work to your advantage. Let us know if you have any questions, and how we might help you reach your real estate goals, and assist you through the process. 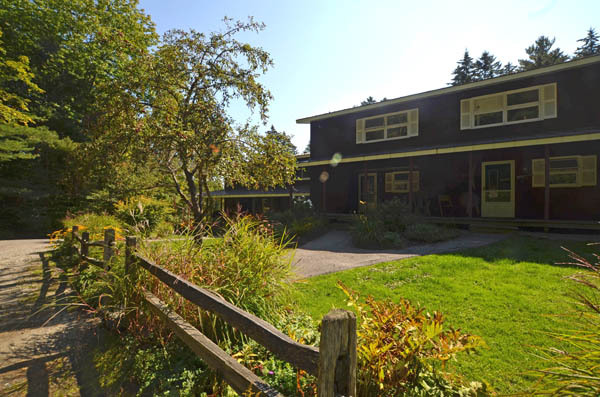 Apple trees and natural landscaping accent the meadow on this 10 acres parcel. Sitting on a knoll overlooking a large swimming pond, this Cape-style contemporary home has gorgeous views of the Worcester Range. The master suite on the first floor looks out on the pond and a small screened cabin. The house is filled with light from the oversized windows. For more details, including photos, inside and out, visit the property profile. Surprising gem in the heart of Sugar House Hill. 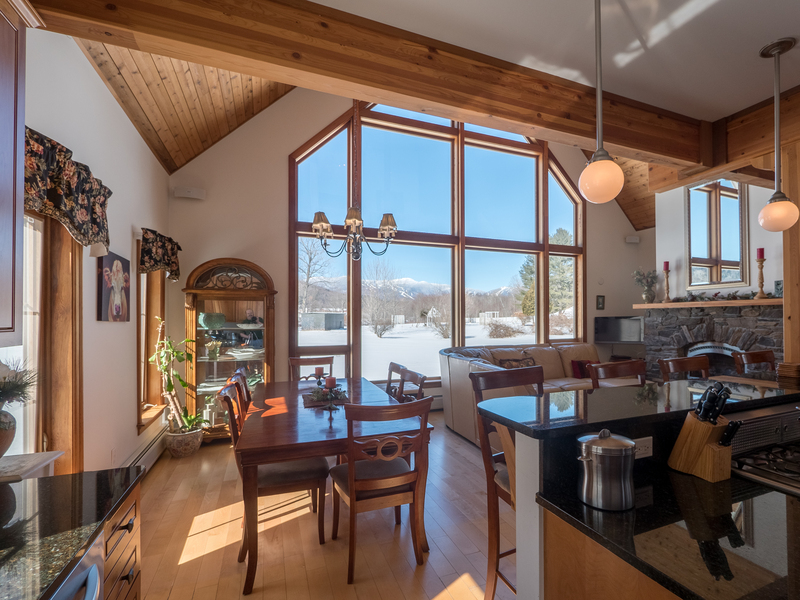 Just off the Mountain Road this home offers a quick trip to the ski hill, access to the bike path, close proximity to restaurants, and quiet beautifully landscaped surroundings. Enjoy summer evenings or morning coffee on the screened-in porch. The perennial garden and stone wall create a colorful accent to the view. For more information, you can find out more about this property here. A condo in the mountain high looking out to open sky. Oh so fun with outdoor pool heated in the winter, way cool! Windows looking to the view, plus the ski trails too. Everything is there for you, no upkeep to do. What could be easier than living here? Among the mountains and the deer. Such a perfect place to be. If you visit, you will see, that life in Notchbrook is the best. A perfect place to enjoy a rest. Click here to learn more about this unique opportunity. We are proud to welcome Maggie Macdonald to our award-winning family business, the Smith Macdonald Group of Coldwell Banker Carlson Real Estate. Maggie is an experienced real estate professional with deep roots in the Stowe community, who brings a successful background in sales, advertising, and project management to the Stowe area real estate market. Maggie will join us in providing trusted advice to our clients. Like Peggy, who has been a pillar of the Stowe community since 1973, and McKee, who has been an award-winning real estate salesperson in both New York City and Stowe, she is committed to providing impeccable customer service. Maggie is forward thinking, innovative, and very tech savvy, which means our clients will benefit from state-of-the-art marketing and sales strategies. As a multi-million dollar sales associate at The Corcoran Group in New York City, and Prudential California Realty in Lake Tahoe, Maggie consistently delighted clients and exceeded their expectations. She helped launch an exclusive riverfront condo development at Winooski Falls, as Director of Sales and Marketing at The Cascades. Maggie’s advertising clients trusted her to produce cutting-edge digital campaigns that were both creative and technologically advanced. She will bring this wealth of experience back home to Stowe, where she is ready to help clients navigate the local real estate market. Please join us in welcoming Maggie back to the Stowe area, where she will provide every client, no matter how large or small, with personalized strategies for success. With her first-hand knowledge of our unique community in the heart of the Green Mountains, Maggie will be joining us to help enhance the opportunities for all of our buyers and sellers in Stowe and the surrounding areas. Last week we sold the Estate at Strawberry Hill, the highest priced recorded sale in Stowe, and the 2nd highest in the state, within the past 10 years. Our marketing efforts, combined with the world’s #1 luxury brand, Coldwell Banker Previews International, helped to secure a contract within 33 days, and a closing on this property in 48 days. This well known property was recently featured in the Previews online magazine Previews Inside Out, and in Architectural Digest. See video of the property, below. Our team is part of a small group of Vermont Realtors that can claim to be Previews International Specialists. This exclusive Coldwell Banker brand provides our sellers with an exceptional advantage in marketing and selling their luxury properties, over any other real estate brand. 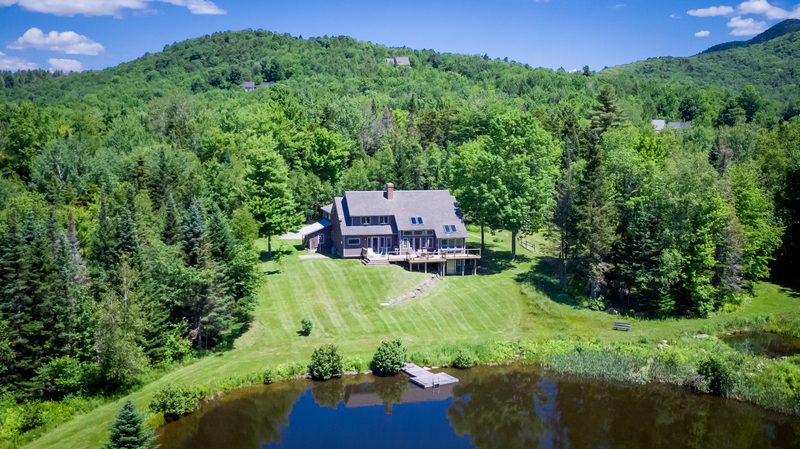 Summer is the time when we see a lot of properties come on the market, in Stowe. There is never a better time for buyers to have so many wonderful choices. Stowe is highlighted by so many things, like being a world class 4-season resort. There is skiing, riding, mountain biking, concerts, craft breweries, acclaimed restaurants, and a wide variety of arts and activities. Stowe is also known for its exceptional properties, and luxury homes. Each has its unique qualities, along with special features and benefits. Here is a sampling of some of our current luxury properties, listed for sale. Luxurious living on 11 private acres with a winding driveway leading to an exciting contemporary home with beautiful landscaping. From the moment you enter the home you know this place was created for the view: every window looks to mountains, gardens, and pond. For additional details, price, and a virtual tour, you can go to our website. Want to be able to ski home or leave from you house to cross country ski, mountain bike or hike? This is the perfect home for you. This home has never before been on the market, and is located in a very desirable area, just before the Toll House. 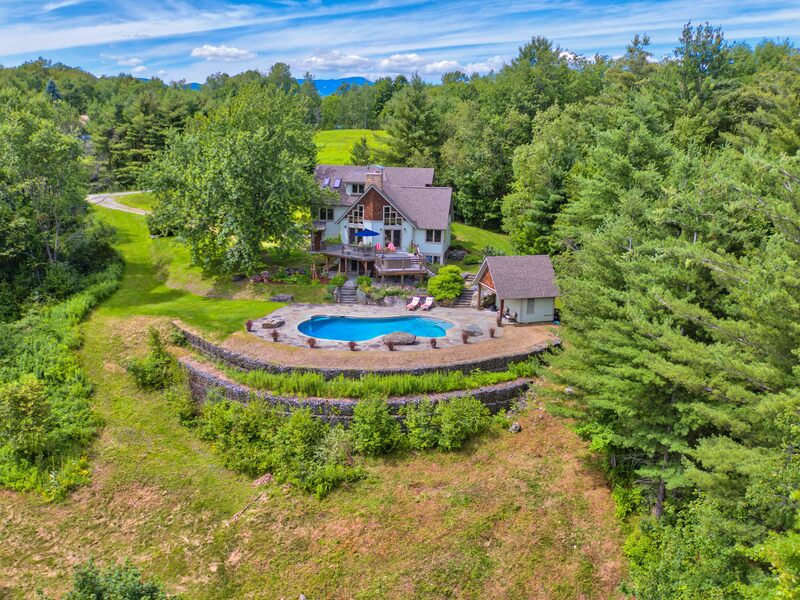 Lots of privacy, yet easy access to Stowe Mountain Resort. For more information on this property, you can go to our website. Rarely does a home become available that checks the boxes for most every kind of buyer. Imagine walking into your home and looking straight out onto a massive pond with Mt. Mansfield as a backdrop. 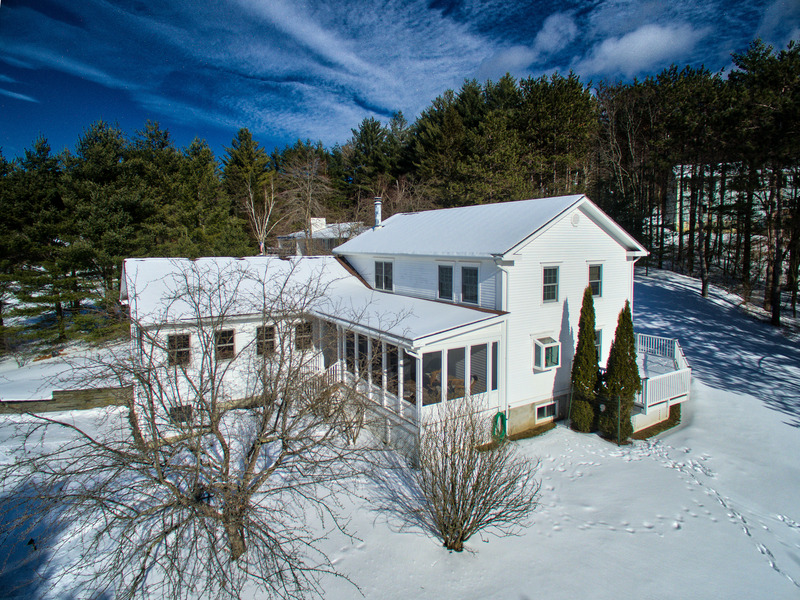 Enjoy the easy access to Stowe village and Route 100 South, yet have privacy on 11 acres of beautiful land, surrounding you. Welcome to the Smith Macdonald Report, our 2014 Year-End examination of the Stowe, Lamoille and Waterbury residential and land real estate market. This report uses market-wide data based on transactions that closed in 2014 and compares them to closings that took place during 2013. Since closings usually occur four-to-eight weeks after a contract is signed the sales activity charted here reflects transactions that closed during and through the end of 2014, and does not include contracts signed that have not closed. In 2014 the Stowe market continued to show steady growth from 2013, with an increase of 9% in units sold. There were 89 total units sold in 2014, setting a record high for the past 10 years. 2014 brought about a more rounded market across all price points, with the sub $500K market leading the way with 53% of the market. The luxury market saw significant gains, with sales finally breaking through the $2 million mark. Given the sales were more evenly dispersed throughout the market the median and average pricing rose by 30% and 10% respectively, these shifts were mainly due to the sales above $2 million. There were slight increases in units on the market, 18%, and months of supply, 17, which is indicative of a more stable market with positive indicators. As we progress into 2015 with a stronger US economy we expect to see those economic trends translate into continued growth in our local market. The Lamoille market (excluding Stowe) was stable year over year with only a 11% gain in units sold. The luxury market, above $400K, had a 50% increase in sales in 2014, 10, compared to 5 in 2013. Movement on this end of the market is important as it has been stalled for many years. The Waterbury market had a slight dip of 8% in 2014 compared to 2013, but given there were only 34 units sold in 2014, we consider this to be a very stable market. Smith Macdonald Group ranked 3rd in the state of Vermont and 194th nationally among all Coldwell Banker teams, second in sales among all brokers in Stowe and Lamoille County and top 25 in all of Vermont. Whatever your real estate needs in the coming year, Smith Macdonald Group is the market and technology leader and we encourage you to take advantage of every resource we can offer you. Click the link below to access our website and download our full Smith Macdonald Report.